Moss has been an obvious Sean Connery Lookalike for many years, but it is only recently that he has been persuaded to direct his talents to the entertainment profession. 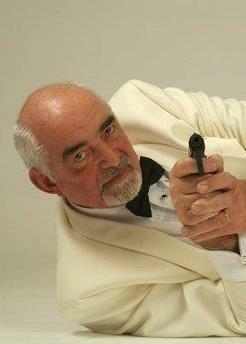 Standing at 6ft 2", Moss Martin is a mirror image of the smooth, distinguished ex-Bond. Drawing from his international business experience, Double "M" Seven recognises the necessary adaptability, tact and professionalism required to communicate on all levels with both clients and guests.